A mature cork cell is non-living and has cell walls that are composed of a waxy substance that is highly impermeable to gases and water called suberin. Depending upon the species of woody plant, the cork cell may be filled with air or may contain traces of lignin, tannins, or fatty acids and may vary in thickness from one to the next. Packed closely together, the cells are generally arranged in radial rows. 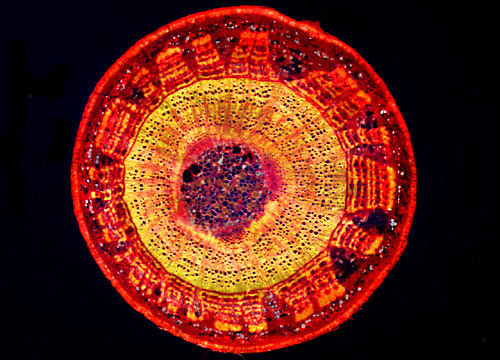 Separation among the cells is achieved by structures arising from the cork cambium called lenticels. These pore-like structures allow gases to be exchanged between the plant stem and the outside environment. The layer of dead cells formed by the cork cambium provides the internal cells of the plants with extra insulation and protection.